Tallyho Coach lines with a horse-drawn stagecoach carrying formally dressed women, children, and men in 1889. Sioux City, Great Hot Springs of Dakota. Photos like these just capture my imagination. Think back 100 years ago. 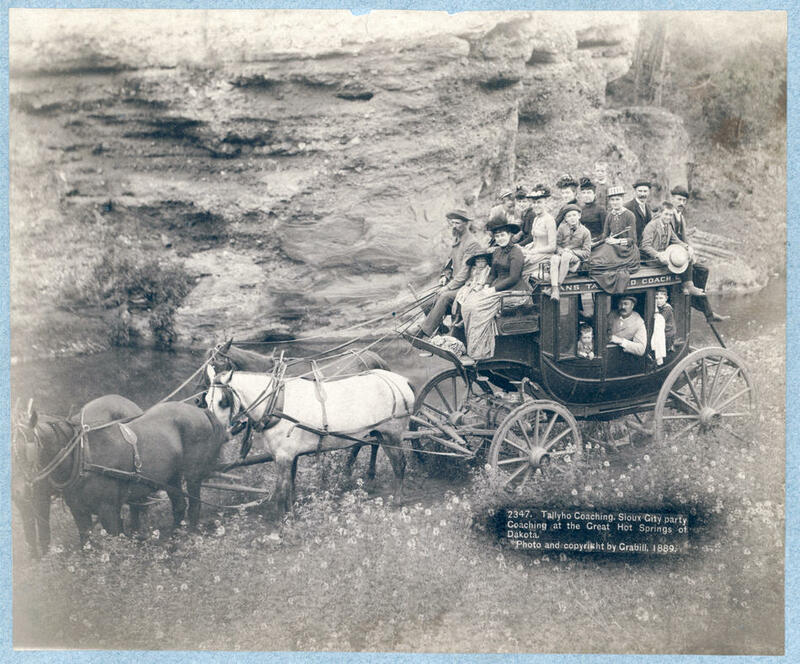 Could see yourself helping your Mom or Sister up to the top of a horse drawn stage coach for a journey on unpaved roads? Noise, dust, rifles at the ready, bumps in the road, complete with the wafting smells of livestock. Out in the weather, no stops, frequent flier miles, no hot towels, no rest rooms, no air conditioning, no radio, no mp3s or seat belts. Would your family members travel like this? Today, the supermarkets we visit have thousands of items ready to eat. Back then, a lot of food still came from the land. We travel in cars now. We have come a long way in just a little more than 100 years! Wow, how we have changed our daily lives. Ed note – By the way, the term Tally Ho as it refers to stagecoaches of the era were designed to be drawn by 6 horses. In the picture, there are only four horses visible. A tally ho would have been larger than the one in the picture… hmmm early adopter of bending the truth in advertising, don’t you think?… probably tally ho refers to the name of the coach company and not the actual coach style. Of course, railroads were well under construction and watchers of wild west movies know that all old west towns had hotels. A stage coach like this one probably was used to shuttle folks back and forth from a train station to the hotel in town. Maybe the luggage was hauled on a buckboard? That makes sense since the women are all dressed to the nines. Were they traveling cross country, the wagon would be more like the Prairie Schooner style pulled by horses or the heavier Conestoga pulled by teams of oxen, referred to back in the day as oxen trains. 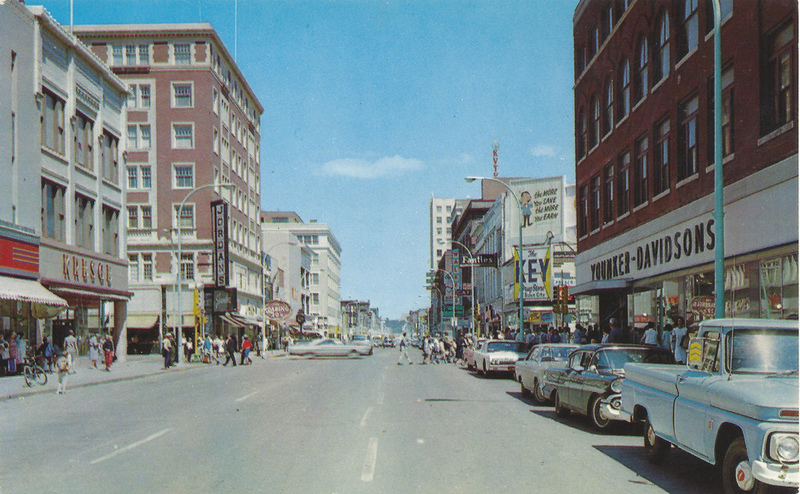 Things progressed and over the decades as the population settled and families grew Sioux City took root as a place to live. 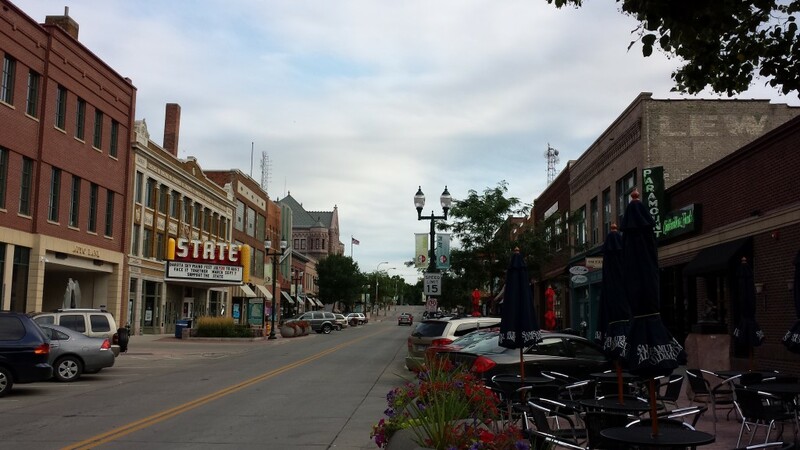 Today it is a vibrant and thriving American small town with an amazing connection America’s frontier days. Look at her in the 60’s! This entry was posted in American History, dp@large, Old photographs, The way we were, The Wild West, Vintage and tagged 1890s, frontier days, Sioux City, wild west by dp@large. Bookmark the permalink.